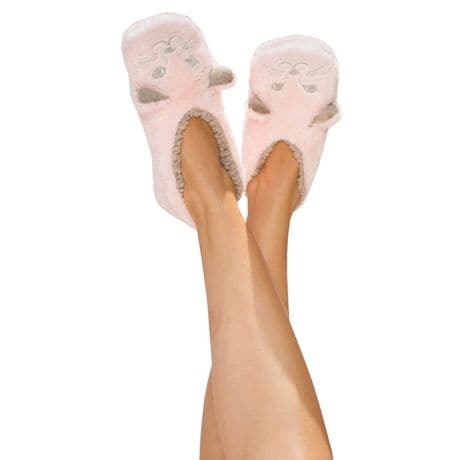 These slippers will cradle and cuddle your feet in plush faux-fur, with no-slip soles for secure footing. Whimsical faces or embroidered embellishments on the top and a tag-line on the back. Machine wash & tumble dry. 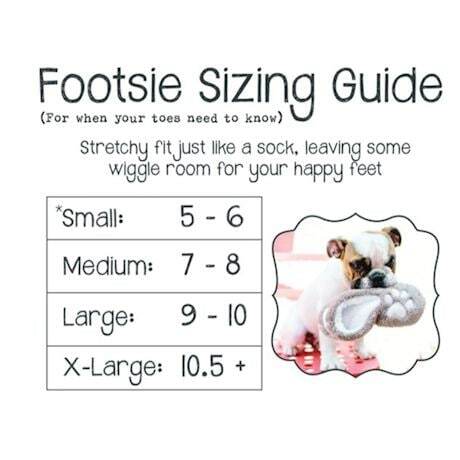 Womens Sizes S (5-6), M (7-8), L (9-10) or XL (10.5).